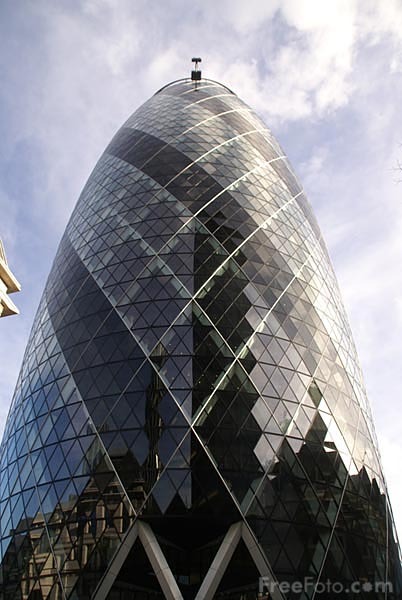 Picture of 30 St Mary Axe which is widely known by the nickname The Gherkin The 41-storey high, round, tapered building, was designed by Lord Foster. It is the second tallest structure after Tower 42 and the sixth-tallest in London as a whole. VIEW: More images from the category London, England or taken at the same location or around the same time .